Healthcare leaders need to discern where the ROI opportunities are biggest right now with AI, says the company's CTO. This is one of the messages health IT vendor Recondo Technology wants to get across to attendees at the upcoming HIMSS19 conference. "Anyone outside this department would be shocked at the sheer volume of transactions to process," said Eldon Richards, chief technology officer at Recondo Technology. "And payers typically will only go over three at a time on the phone. When you have on average 16,000 queries to wade through a month, that's not going to cut it." The other option – to look up authorization status on the payer's website – is less time-consuming but still requires a lot of staff hours, he added. Automation is a proven alternative that substantially reduces time and human effort to the entire authorization process – from querying the payer's website to find out if prior authorization is required, to automating the retrieval of the payer's answers, said Richards. Recondo Technology will be discussing a variety of trends with HIMSS19 attendees, though two stand out: AI and price transparency. "AI has been under an intense spotlight. Healthcare leaders really need to be able to discern where the ROI opportunities are biggest right now." "AI has been under an intense media and industry spotlight," Richards said. "Healthcare leaders really need to be able to discern where the ROI opportunities are biggest right now. We believe based on our customers' successes that automating revenue cycle management processes are among the most significant ROI opportunities at present with AI – specifically, via robotic process automation, and even more so when this automation is further enabled with machine learning and natural language processing." Interest in price transparency has redoubled since CMS mandated that hospitals must post their chargemaster lists online, he said of the other trend. "That mandate goes into effect this month, so I expect price transparency will be top of mind with many HIMSS19 attendees," he explained. "I would caution that simply complying with this mandate will not be enough to bring true price transparency to patients, as many will be confused to discover that what they will actually pay for services is markedly different than what's on the chargemaster list. So HIMSS19 attendees should be on the lookout for solutions that do give that authentic transparency into cost." And Richards has more advice for HIMSS19 attendees. 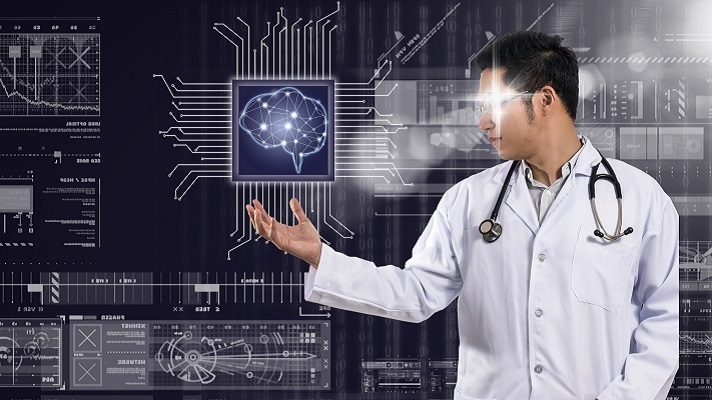 "A lot of CIOs and CTOs will be heading to HIMSS19 with the intent to find out where AI is really working, because there's just been so much hype surrounding the topic the last few years," he said. "Now it's time for the rubber to hit the road, so to speak. My advice for separating the 'fake it till you make it' vendors from those who have an authentic AI solution to offer is to look for three basic proof points: cost, time and the use of neural networks." If an AI system can process a lot of transactions in a short amount of time but at a high cost, that's an indicator that human effort was used instead of AI-driven automation, he advised. "If it can process a lot of transactions at a cheap cost but over a longer period of time, that's also a sign that humans were doing most of the work," he said. "These first two proof points are more geared toward evaluating AI technology such as robotic process automation. When evaluating claims that a solution is machine learning-capable, make sure to verify the solution is powered by neural networks versus standard rules-based engines." With price transparency, HIMSS19 attendees should consider the CMS mandate a marketing opportunity to retain more patients, Richards said. "The mandate will drive more potential patients to the hospital's website," he commented. "An online price calculator that's easy to use, gives an accurate estimate of the patient's cost and even provides payment assistance options will give them a reason to schedule services with your hospital."